The ammonites, symbols of longevity and evolution, and their unique shape inspired us to create an elegant ring. This special jewellery is made of silver 999° and is the perfect gift for all the nature lovers. Take a look at the pendant which is set with the ring (code: FA 001502). 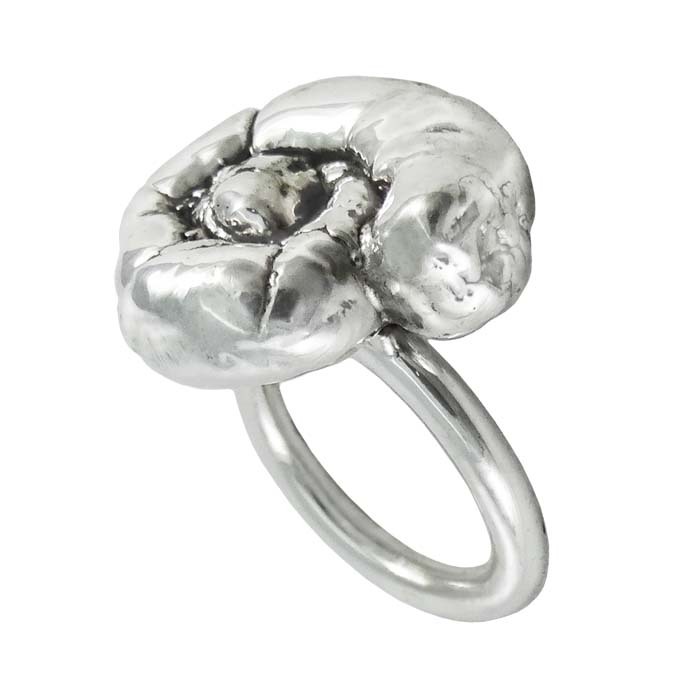 Order now your own ring or offer it as a special gift! Ammonites are an extinct group of marine invertebrate animals. The earliest ammonites appear during the Devonian, and the last species died out during the Cretaceous–Paleogene extinction event. Ammonites are excellent index fossils, and it is often possible to link the rock layer in which a particular species or genus is found to specific geological time periods. Their fossil shells usually take the form of planispirals, although there were some helically spiraled and nonspiraled forms.Their shape resembles the horn of a ram. Ammonites were named after Amun, god of the Egyptians who in many depictions appears to be wearing the horns of a ram. Ammonites have been found in many parts of the world, and in Greece, in the region of Epidaurus, Chios and Argolis. Ammonites are the symbol of time, eternity, evolution, rebirth and longevity.The ammonites, as objects were considered to offer protection, so they used to be placed as decoration or to be worn as jewelry. 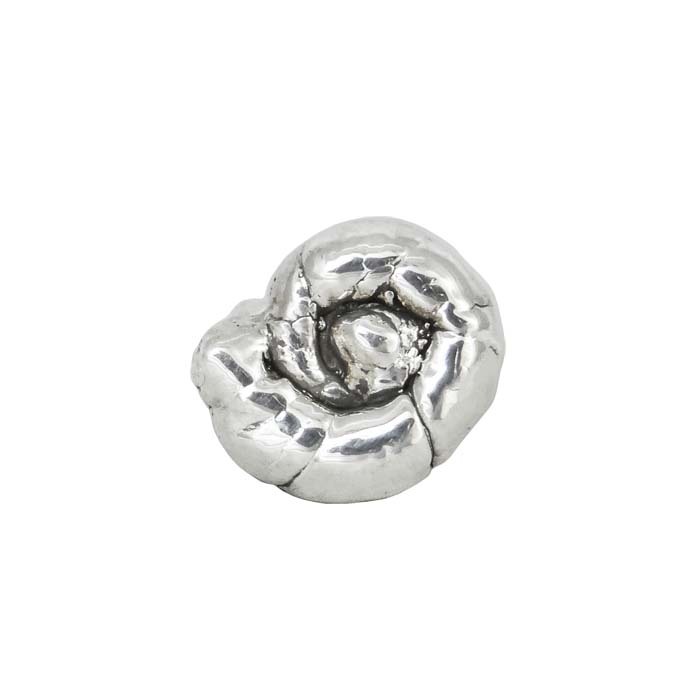 According to the myths, the ammonites helped with the pains of childbirth and was worn as an amulet for longevity. In medieval Europe, fossilised ammonites were thought to be petrified coiled snakes, and were called "snakestones". The existence of fossilized animals and plants had very early attracted the interest of the people but many early explanations relied on folktales or mythologies. Greek scholar Aristotle realized that fossil seashells from rocks were similar to those found on the beach, indicating the fossils were once living animals.